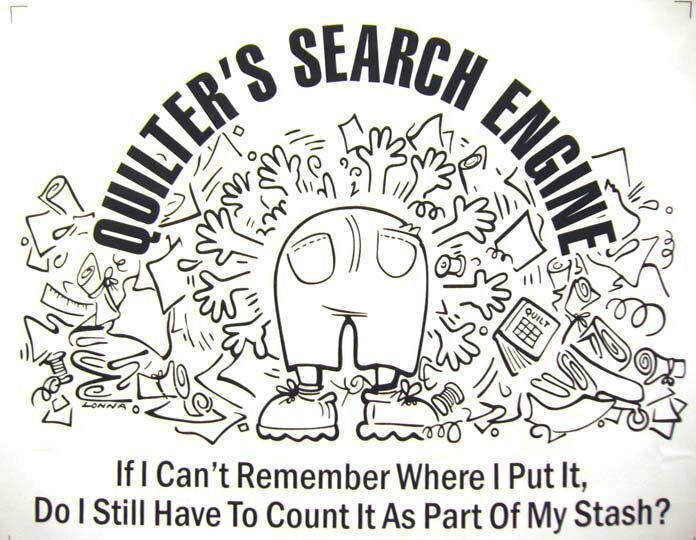 Our hilarious “Quilter’s Search Engine” is tuned-up for this hand printed fabric panel in natural or white with black ink. This panel may be colored with FabricMate™ pens and custom embellished! Price: $ 7 More. Quilter’s Search Engine items: mugs and tee shirts! Quilt Kit with panel also available.